2. To make a waffle “on the go”, the Australian Ice-Cream in Velostrat street near the Cathedral. Street turistoide like nothing but waffles and ice cream are the most famous in the city (1.8 € a scoop of ice cream, two scoops € 3, € 4 three balls). 3. 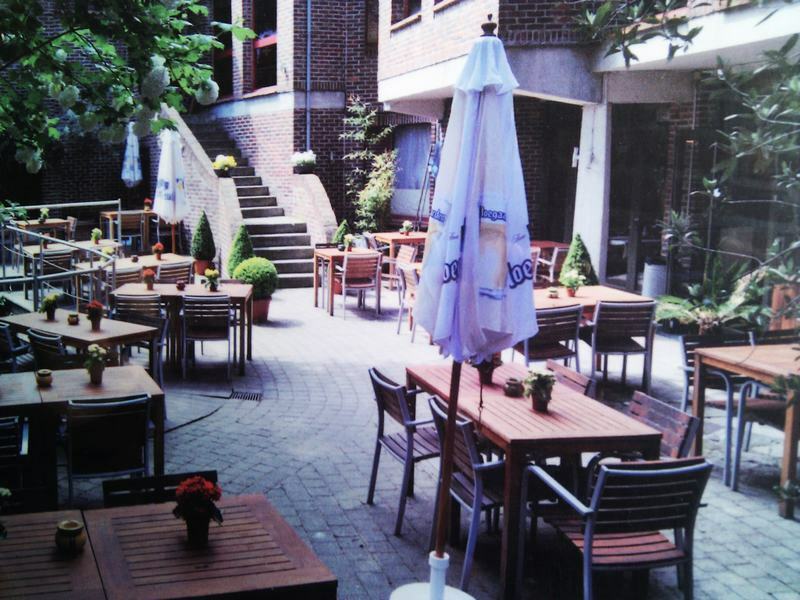 To take an afternoon beer on the terrace overlooking the river or in the evening on the terrace of the street, the bar Koeiaert in Pensmarkt 3. Come inside to the end to reach the terrace overlooking the canal. Glass of wine by 3.5 € or 4.5 € cava. 4. For coffee or tea in the afternoon or after dinner: Mr Beanzz. The waterside terrace is enough reason to go, but if you enter and sit at one of the tables next to the windows, will cost rise up! His “special coffees around the world” are a bit expensive (7 €) but encourage anyone (irish coffee, baileys coffee, coffee with russian vodka, etc …). 5. 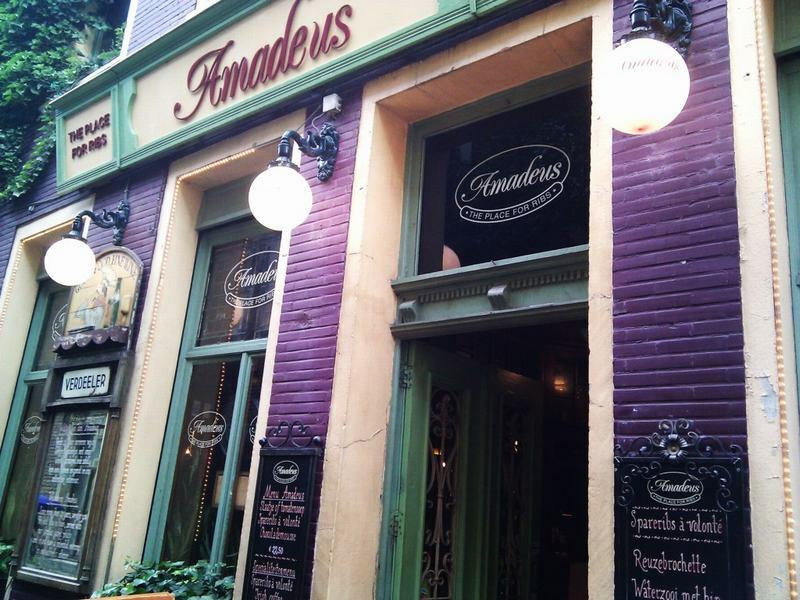 If you are a glutton and I like ribs (ribs) to die, do not fail to spot on the street Amadeus in Plotersgracht street (15.95 € all you can eat spareribs). And if not hungry, nothing happens. Just walk across the bridge and back Krommewal down Plotersgracht and worthwhile. 6. 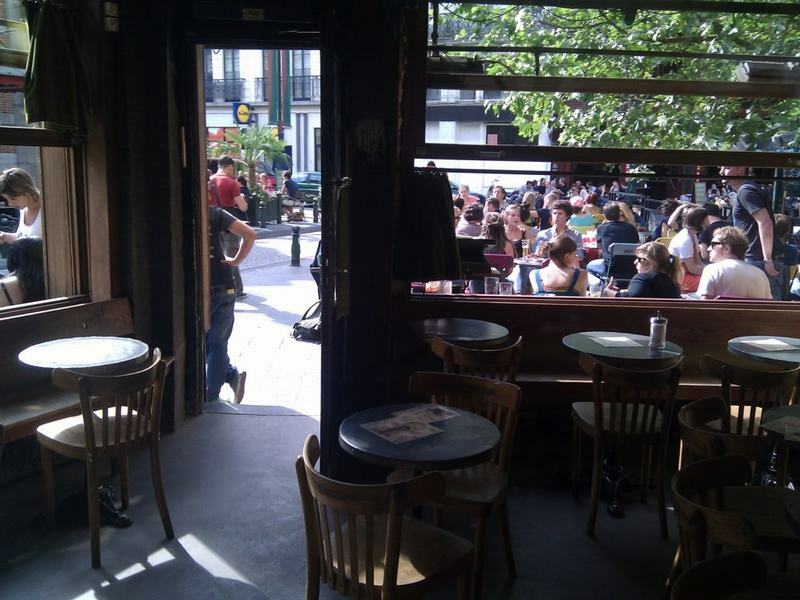 If you prefer is that you see with the beautiful people of Brussels who comes to spend the day, assail one deluxe burger BBQ at the Belga Queen. Famous Chef, to look decor and terrace next to the canal. Who gives more? But prepare ye the Visa. From 15 € of the “croquettes crevettes” (fried shrimp) to 52 € the steak to share, you have everything, including lobster, oysters and caviar. Graslei Street 10. 7. If you want fine dining but without that I see so many people, the brasserie De Tempelier. Only open at night, you have to book because they have few tables and is always filled. For 15 € the main course eat more than fine. On the street Meerseniersstraat 9. 8. And if you want fine dining but without all heck, nonsense and go away leaving you to Marco Polo, right next to Pink’s Flamingo on the cross street, Serpentstraat no.11. A trattoria with wood oven that says it all. 9. If you are tired of the Belgian food, which will notbe very strange if you are here more than a week, on the street Sleepstrat and Oudburg you will find ethnic restaurants of all colors and continents. The most famous is the Tibetan (do not miss the Yak meat!). 10. For if there is hunger and too late: Orient Pita in Groeten Market. Beware of shawerma regalima oil! 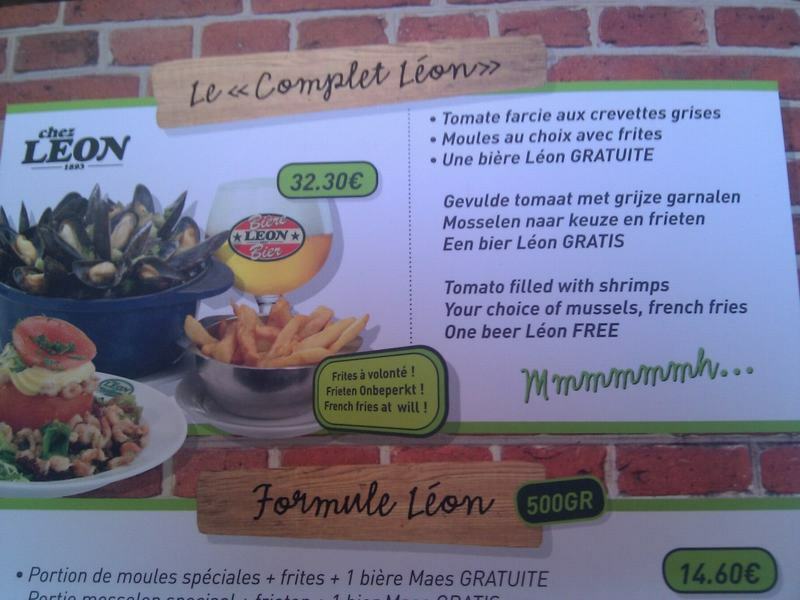 However, first it will seem (from 4.5 € to 6 €). 11. If going well dressed and have dinner despuéss forward to a drink by the Belgian socialite, in the same street Oudburg at No. 16 have one of the “secrets” of the city: the Jigger’s. Cocktail bar reserved for famous people. 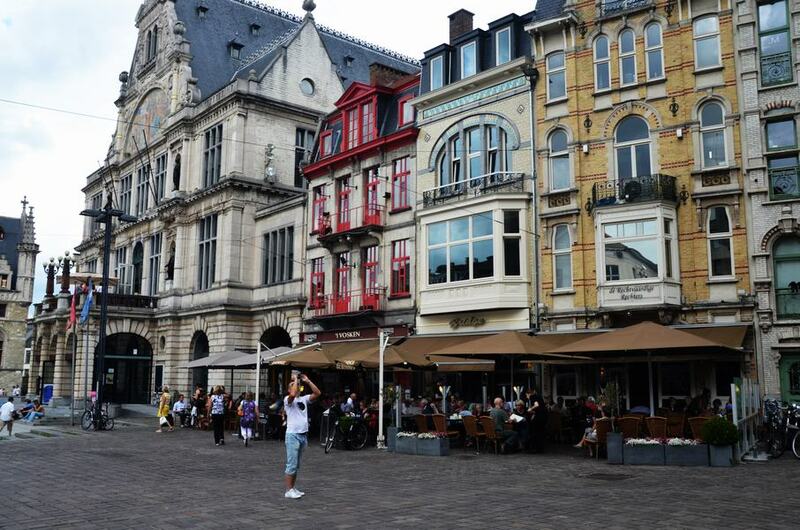 If you have no shame to ring the bell and put famous face, enter into “the noblest drugstore” Ghent. 12. 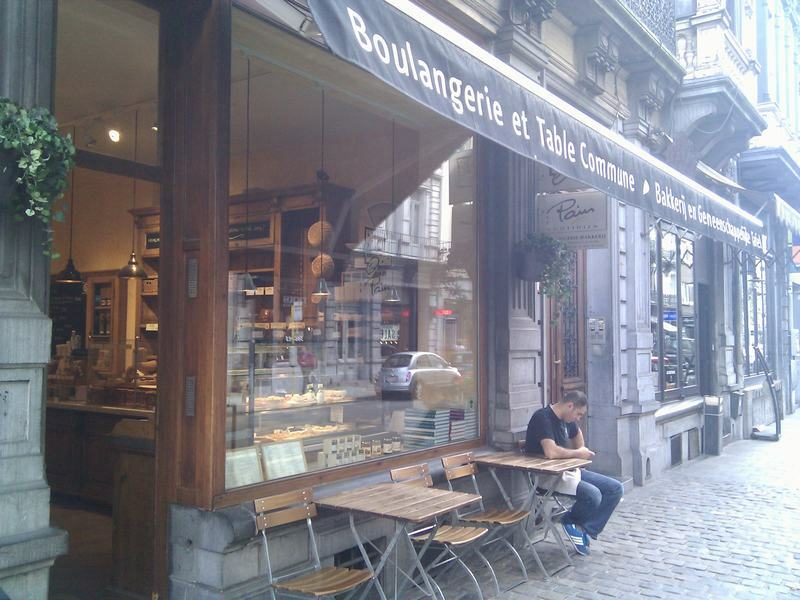 If you are curious about the cuisine and dishes prepared, do not miss Toog in Voldersstraat 24. Just being able to look your shelves and refrigerators and worth it! In Ghent options abound for lunch, dinner or just a beer. But if you are in the middle, no bones about it. The Bridge Restaurant with its terrace is a highly recommended site. To take a break with a beer in hand, or to try a dish of their own. They are scrumptious deli but not every day is jauja. The typical Stoverij (16 €) for two will kill hunger, a kind of beef stew in beer sauce that though they may be a bit strong at first, almost like wild game, at the end you’ll end up dipping bread. O chips which will bring you apart. The salads and pastas are worth 10 to 12 € and 14 meat dishes up. It’s right next to the Cathedral. You see one stuck three restaurants side by side, the Bridge is just the middle. One day in Bruges is more than enough. 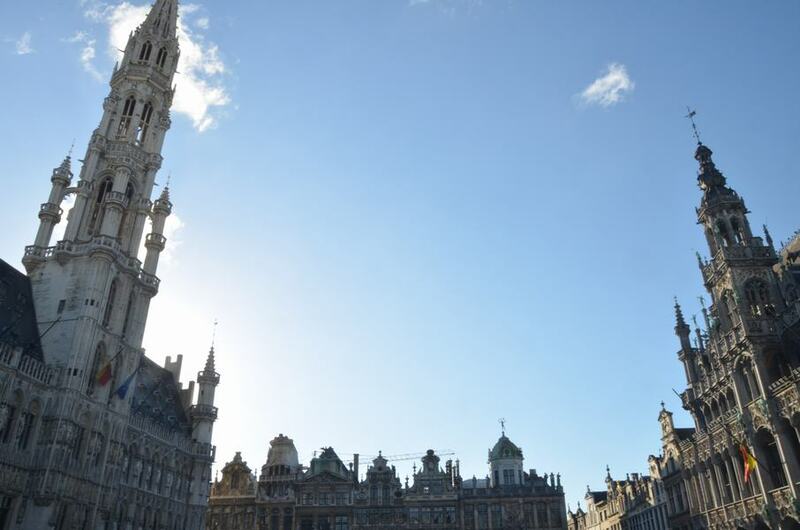 Train from Brussels (the Way Away trip planner will tell you where and how to take it) or even from Ghent and, then return to Brussels (our trip planner will also tell you where to leave your luggage while walking around Bruges). Therefore, no need to give you an endless list of bars and restaurants … To start and if you are hungry, on the way from the station to the center of Bruges you will pass by an outdoors flea market. There you can take a hot dog (€ 3) or a cheeseburger (4 €), the latter scrumptious … Coming from the station and entering the market, try the first stall you find. 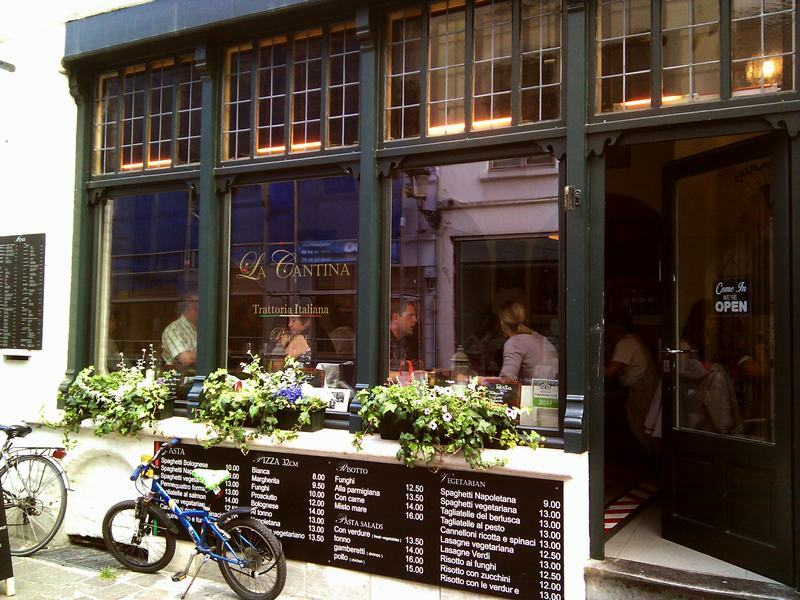 – La Cantina, in Philipstock-Straat with Wapenmakers Straat, Italian restaurant for tourists but somehow disguised, with pasta and risottos of all types from 9 € and 32-inch pizzas from 8-14 €. Very central and close to Mark. – And better than La Cantina but placed a little further in a very “cute” street (Academiestraat with Spanjaard Straat), the Attrium. 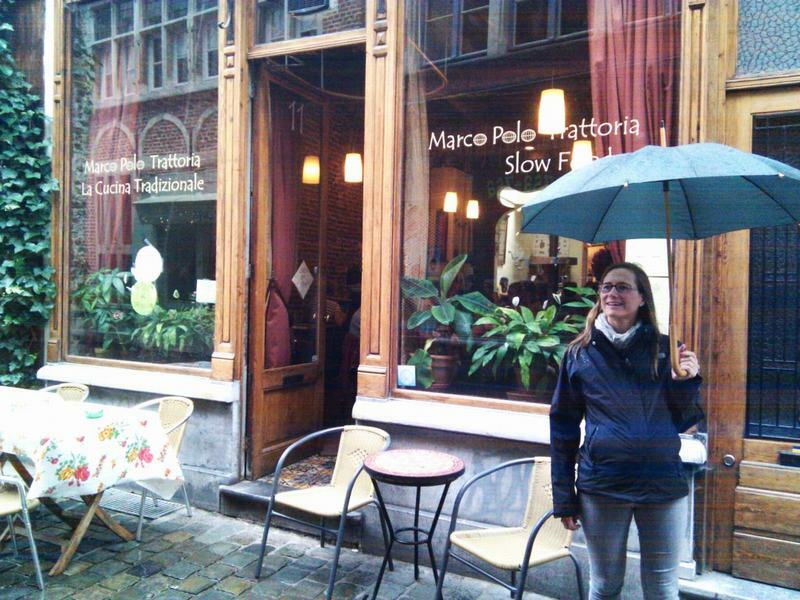 It is frequented by locals and they serve homemade pasta dishes for 8,90 €. And if you don’t feel like Belgian food but also want something less traditional than a pasta dish, go to Opus Latino Café. It’s hard to recommend Moroccan food in Belgium but at least their terrace is well worth it. After lunch, if you feel like something sweet, you can try the waffles with chocolate (3.5€) in a small place just between the two central squares, at Breidel street. 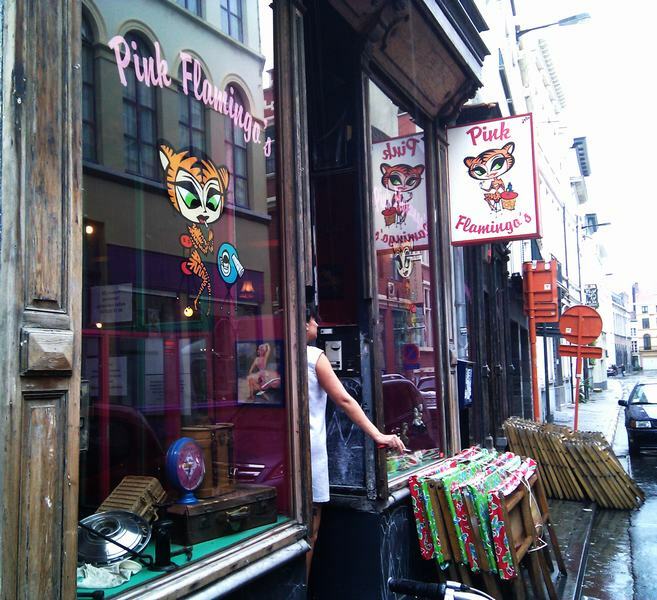 Or even better, go to Noordznds Straat. 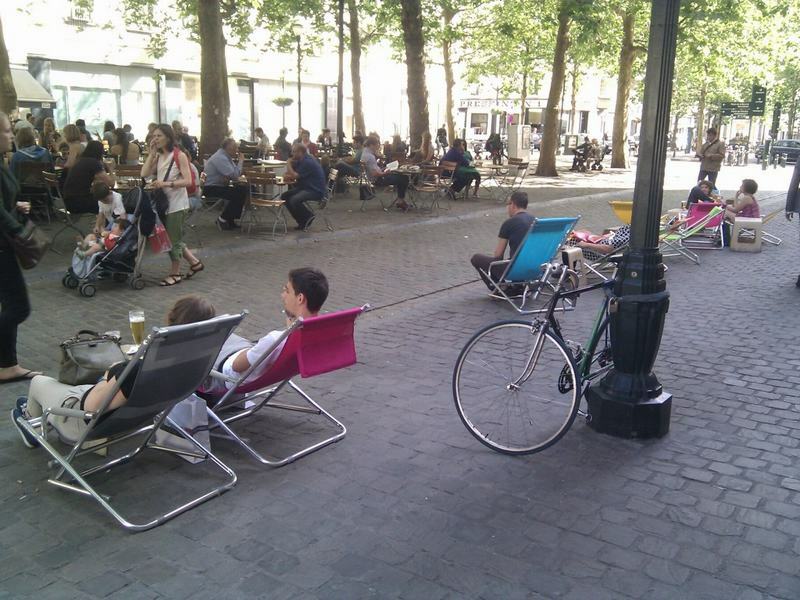 There you will find an ice cream parlor and very close by, the quite Muntplein square, where you can eat your wafles quietly on a bench. 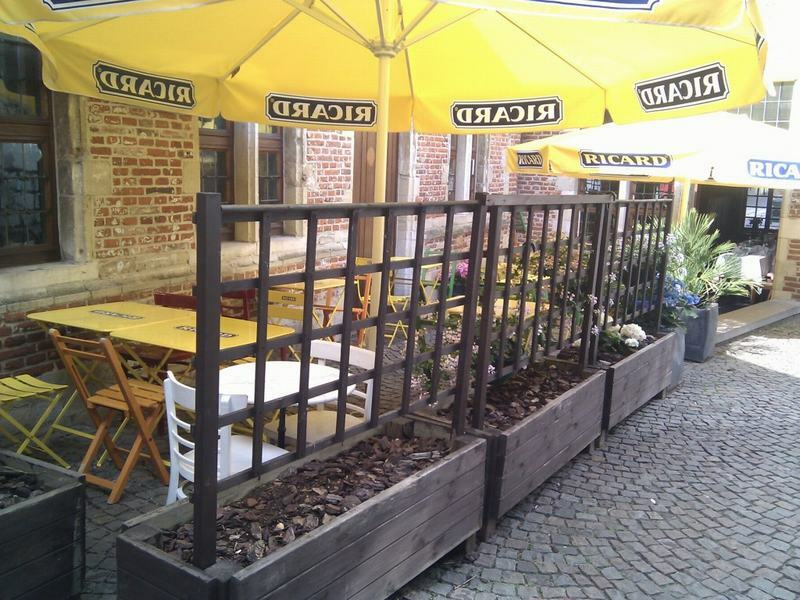 Another alternative is to go to the most famous pastry at Bruges, Servaas Van Mullen, with a more than pleasant terrace. – Or the Rose Reed at Cordoeaniers-Straat, the cafeteria of a hostel, with those tables and antique parquet floors that still creak.